“Best of” lists are great! They help us find the perfect restaurant for a romantic dinner or an event that’s family-friendly. That’s why we love that the Corridor Business holds the “Best of the Corridor” competition every year. Do you know what we love even more? Our team at Dahl Custom Homes received the 1st Runner Up award for Best Home Builder! We are so grateful for this noteworthy recognition because it tells us that we are truly doing everything we’ve set out to do — create meaningful relationships, provide impeccable service and craftsmanship and custom homes that our clients will love for years to come! Thank you so much to everyone who voted for us! We sincerely appreciate it and are excited for all of the great things to come in the future. 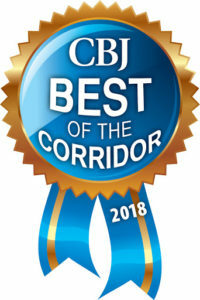 You can read more about the “Best Of” awards here: https://www.corridorbusiness.com/news/announcing-2018s-best-of-the-corridor/ and here https://www.corridorbusiness.com/best-of-the-corridor-2/best-real-estate-firm-home-builder-skogman-companies/.